Trinity Kids is focused on serving children in North Central Texas, which is referred to as Region 3 by the Texas Department of Family and Protective Services (DFPS). Region 3 is the largest of the state's 11 regions in terms of child population as it has almost 2 million children age 0-17. 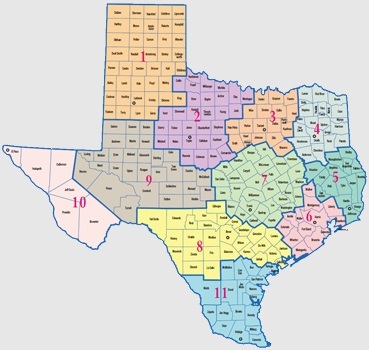 The region consists of 18 counties including: Collin, Cooke, Dallas, Denton, Ellis, Erath, Fanin, Grayson, Hood, Hunt, Johnson, Kaufman, Navarro, Palo Pinto, Parker, Rockwall, Somervell, Tarrant, and Wise. This means that we have a significant responsibility to carry out our mission in this region because the need is so prevalent. Since the inception of Trinity Kids, we have worked with over 1,000 children who were involved in CPS investigations, placed in a foster home, or fortunate enough to have been adopted. The majority of those children were in foster care and Trinity Kids works to bring as many siblings through our program as possible in order to maintain those familial relations past their childhood years. Children who have suffered abuse come from every imaginable family situation which is not defined by race, wealth, or socio-ethnic background.